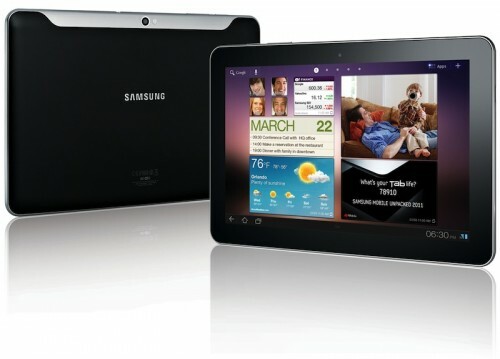 Back in early July, a UK court ruled that Samsung had not infringed upon the design of the iPad with its own Galaxy Tab device, with judge Colin Birss ruling that the Galaxy Tab was simply "not as cool" as the iPad. Roughly a week later, Birss ruled that Apple must publish advertisements on its website and in newspapers acknowledging that Samsung did not copy the iPad's design. Apple quickly appealed the ruling and was granted a stay until that appeal could be heard. BBC News now reports that Apple has lost its appeal and is now required to follow through on publishing its acknowledgments. The US firm had previously been ordered to place a notice to that effect - with a link to the original judgement - on its website and place other adverts in the Daily Mail, Financial Times, T3 Magazine and other publications to "correct the damaging impression" that Samsung was a copycat. The appeal judges decided not to overturn the decision on the basis that a related Apple design-rights battle in the German courts risked causing confusion in consumers' minds. "The acknowledgment must come from the horse's mouth," they said. "Nothing short of that will be sure to do the job completely." The appeals judges ruled that Apple could satisfy the posting requirement for its own website by including a small link entitled "Samsung/Apple judgement" on the site for a period of one month. Apple can still appeal to the UK Supreme Court in an effort to have the publishing requirement overturned, but Reuters notes that Apple has given no indication of planning such an appeal. Thank the gods. This industry needs more competition. Not ridiculous patent lawsuits. If I was Samsung, I'd probably be feeling more like a loser than a winner in this case. Just curious why? Apple is being forced to admit that Samsung didn't copy them. Something that they objected to. Whether you agree or not is irrelevant. Samsung, I am sure, is pleased with the verdict. Why wouldn't they? I'm going to state this again very clearly. I have no idea why people think the announcement on Apple's site is going to be cheeky/snarky/etc. It's not like Apple is going to be able to write whatever they want. It would be incredibly surprising if the announcement didn't have to be first approved by the court who is mandating the announcement. Because it is utterly humiliating. The whole thing. I think they should put up an advertisement with them side-by-side, using one of Samsung's own promotional pictures of their tablet which shows it most similar to the iPad, and then say "No, Samsung did not copy the iPad. Not at all." and leave it at that. So you think Apple is excited about having to do this? I would think it's humiliating for them to be forced to admit something they don't want to. Wonder how much it cost Samsung to buy that Judge?